The Russian present tense form is very simple. When compared to English, the numerous variations like "I am working", "I do work" and "I have been working" do not exist in Russian. Instead, there is only one form similar to the English simple present tense (Subject + Main verb). I have been working. } Я работаю. Каждое утро я встаю в 8 часов. Я живу в Москве уже целый год. The endings of the present tense verbs (like "работаю" in the above example) change depending on person and number. 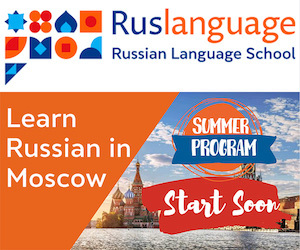 In order to find the correct ending for a Russian verb you need to perform the following steps. Finally, compare both remainders. If they are the same, this is the stem you need. If they are different, use as the stem that remained from the familiar you form. 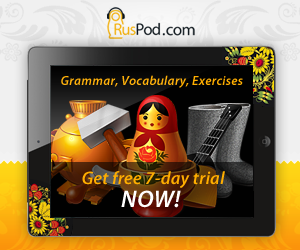 Note that you can look up the first-person and second-person forms of the Russian verbs in our verb conjugation dictionary. Determine the ending to be added to the stem of the verb using this table. Я работаю - I work. Ты работаешь - You work. Она работает - She works. Мы работаем - We work. Вы работаете - You work. Они работают - They work. Я люблю* - I love. Ты любишь - You love. Он любит - He loves. Она любит - She loves. Мы любим - We love. Вы любите - You love. Они любят - They love. four persons (ты/он/мы/вы) of the 1st conjugation verbs ending in -чь.